The Eric Liddell Centre is led by a board of directors who act as the trustees of the charity. The board are elected by our members at the Annual General Meeting and all live or work in Edinburgh. He brings finance and business knowledge and experience to the Board. He’s a member of the Rotary Club of Braids and does a lot of charity work – both hands-on and as a board member. In his free time, he enjoys family time and wild water swimming. Malt whisky is also on his list of interests – it seems whisky and cold water swimming go well together. Never far from a good cause he recently spent time working on water and drainage systems at a hospital on the island of Ukerewe. Jane Chidwick has been a trustee since 2015. Born in Malaysia but raised in Edinburgh, she worked as a GP in Morningside for over 25 years. She spent a year in China in 1986 – 1987 teaching English to doctors in Shengjing hospital, founded by Scottish medical missionaries in Shenyang, North East China in the 1880s. Since retirement she keeps busy looking after a husband, dog and grownup children who keep coming home. Apart from the ELC she is an elder at her church where she is involved in the Pastoral Care Team. She also enjoys birdwatching, occasional hillwalking and trying to learn Chinese. Jenny became a Trustee in June 2013 and is on the Caring Services Committee. She also volunteers in the Bookroom. Jenny’s working life has been varied. It includes 14 years in rural areas of Tanzania and Malawi running libraries and home educating her four sons. Getting a PhD in African History as a mature student at Edinburgh University was combined with tutoring, sub-editing an arts journal and work in community relations. She worked in the welfare rights field in the Lothians for nearly 20 years. Elected as a City of Edinburgh Councillor in 1997 and Group Leader in 1999, Jenny was Leader of the City of Edinburgh Council from 2007 to 2012. Retirement now allows her to enjoy gardening, genealogy, graves (including for the Grange Association cemetery group) and grandchildren. Prior to his appointment as a Trustee he was a solicitor and senior partner of a large Scottish firm with offices in Edinburgh, Glasgow, Aberdeen and London. He retired in 2008 and since then has been on the Board of the Scottish Legal Complaints Commission (2008-2011), he is a non-executive Director of an Investment Trust and is still involved in providing expert reports in relation to claims of negligence against solicitors. He has lived in Morningside for the last 27 years and works as under gardener (following his wife’s instructions to the letter) in their large garden and plays golf, but not as often as is necessary to see a marked improvement in his game. His wife is a senior judge and they have two grown up children who live in London. He and his wife are keen supporters of Scottish Opera and the Royal Scottish National Orchestra and are Patrons of the National Galleries, the Edinburgh International Festival and the Edinburgh International Book Festival. Amanda became a Trustee in August 2014 and is on the Caring Services Committee. Amanda has worked as an employment lawyer for over 25 years, firstly as a solicitor in the city in London, where she qualified and latterly, with her own consultancy business which is based in London and in Scotland. She has a wealth of experience advising organisations and individuals on employment law matters, particularly focusing on grievances and disciplinary issues and business reorganisations. Amanda is never happier than when she is helping people sort out problems. Amanda moved back to Scotland about 17 years ago and lives with her husband, step sons and assorted animals. In her spare time, she enjoys walking her dog, cooking and looking after her trusty Trabant. Maureen Harrison was appointed as a Trustee in 2015. She has over 30 years experience in the Scottish Voluntary sector. 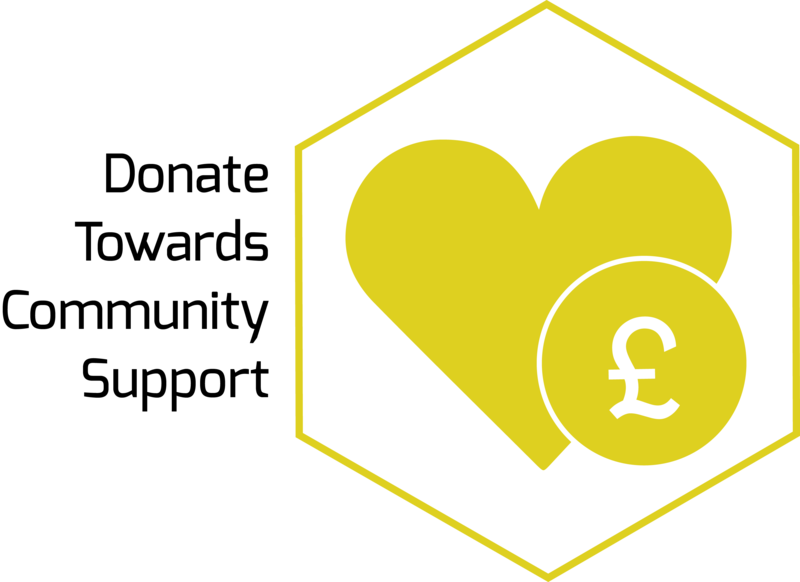 She was Scottish Director of Imperial Cancer Research Fund for 13 years, managing all fundraising and marketing activities including the establishment of 60 charity shops from Thurso to Dumfries. She moved to the Sick Kids Friends Foundation in 1997 and served as Chief Executive until her retirement in early 2015. During that time she was Chair of the Institute of Fundraising Scotland for two years and also involved in the development of The new Charity law for Scotland in the early part of the last decade. Sharon qualified from university with a BA (Beijing Foreign Studies University) and an EMBA (China Europe International Business School). Having previously served as diplomat with the Chinese Ministry of Foreign Affairs where she built up a broad network of contacts among governments and regulators, she then went on to join Dow Jones in Beijing as Corporate Communications Officer, responsible for media communications with the Shanghai Stock Exchange. Sharon initially joined Clyde Blowers Beijing Office in 1999 as Business Development Manager where she was actively involved in the set-up of its ventures in China. From 2003-2007, she was the Director of Finance & HR of one of Clyde Blowers’ subsidiaries-Clyde Bergemann Beijing and played a crucial role in the establishment of the company. Sharon started to work for Clyde Blowers Capital as Investment Director in 2008. In this role, she manages Clyde Blowers Capital’s portfolio assets or their China subsidiaries via the role of board director or board supervisor. 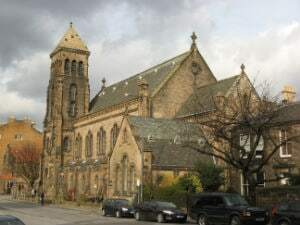 Sharon was appointed a Trustee of the Eric Liddell Centre in 2016. Catherine is a new Trustee for the Charity having been appointed in 2015. She has held a wide range of jobs over the last nearly 40 years. Initially she worked in careers guidance providing advice to both school leavers then adults looking for career change. For a short time she lectured at Napier University before moving to a business development role at Telford College, where she developed a lifelong interest in training and people development. As Director of Training at the Edinburgh Chamber of Commerce she oversaw the delivery of training to both unemployed job seekers and those upskilling in work, particularly leadership and management skills. She further developed her business and financial acumen as a senior executive working in a successful dotcom start-up in Edinburgh. For the last seven years Catherine has been working with her husband running a financial advisory company in Edinburgh. She has two married sons living in Edinburgh and three grandchildren who keep her very busy. In her spare time she enjoys walking and is planning to take up golf when she retires in a few years. Tracy joined as a Trustee in 2018. She is currently a Professor of Midwifery and Dean of Health and Social Care at Edinburgh Napier University. She has worked as a clinical academic in a range of settings and in a variety of senior clinical, management, educational and research roles across Scotland. As a Professor of Midwifery, she has influenced and implemented national maternal and neonatal policies in Scotland through her research, practice and leadership roles. She is a also government advisor for maternal and child health policy and holds a public appointment as a Non-Executive Board Director at NHS Lothian. Her areas of research and publications are on reducing unnecessary interventions during childbirth and improving outcomes for women and families in remote and rural areas through educational and service improvement initiatives. Internationally she is known for her work with Ministries of Health in low and middle income countries developing policy, education programmes and maternity services to reduce maternal and newborn mortality. She has experience of caring for her grandmother who died of Alzheimer’s a few years ago. Her interests are running, walking, travelling, reading and she is also a dog lover. 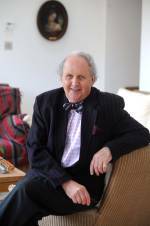 Local author Alexander McCall Smith is one of the world’s most prolific and most popular authors. His career has been a varied one: for many years he was a professor of Medical Law and worked in universities in the United Kingdom and abroad. Then, after the publication of his highly successful No 1 Ladies’ Detective Agency series, which has sold over twenty million copies, he devoted his time to the writing of fiction and has seen his various series of books, including the “44 Scotland Street” series, translated into over forty languages and become bestsellers throughout the world. 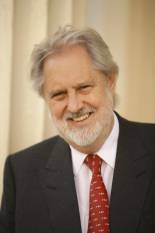 David Puttnam spent thirty years as an independent producer of award-winning films including Chariots of Fire, The Mission, The Killing Fields, Local Hero, Midnight Express, Bugsy Malone and Memphis Belle. His films have won ten Oscars, 25 Baftas and the Palme D’Or at Cannes. David is the present Chancellor of the Open University and has been Vice President and Chair of Trustees at the British Academy of Film & Television Arts (BAFTA). He retired from film production in 1998 to focus on his work in public policy as it relates to education, the environment, and the ‘creative and communications’ industries. David was awarded a CBE in 1982, a knighthood in 1995 and was appointed to the House of Lords in 1997. In France he was made a Chevalier of the Order of Arts and Letters in 1985, becoming an Officer in 1992, and a Commander in 2006. Born and bred in Edinburgh, Sue is the niece of Eric Liddell and has been involved in the Centre since its opening.